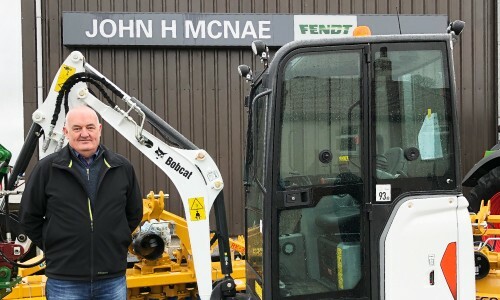 Our Bobcat dealership is going from strength to strength as Director Neil McNae and Sales Manger Leigh Dalgleish explained to Project Plant Magazine. Click to read the full story. Come along to our KUHN demonstration day from 10am until 4pm on Thursday 30th August 2018. KUHN mower, tedder, IBIO baler bale pack and twin spool wrapper all on demonstration (weather permitting). We are please to announce we are now Kuhn amenity Pro dealers. Please click on the logo to see the range of machinery available. Great reviews on our new handler range. New Patchwork Blackbox Air now in stock. Packed with features at a very attractive price. Please contact us for more information or click on the patchwork logo to go direct to their page.